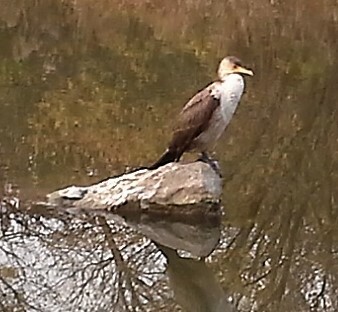 What kind of Water Bird? I'd like to identify this large duckish / kingfishery bird spotted for the first time yesterday on West Humber River Rec Trail. I may be wrong, but I think what you have there is a Scaly-sided Merganser. Perhaps one of our readers will know for sure, meanwhile, I will also post this on our facebook page so that our facebook followers can also offer their opinions as to its true identity!